Recently, BsnTech Networks has started to see an increase in the number of mail delivery failure notifications from contact forms on customer websites. Why? The larger e-mail providers – such as Gmail, Yahoo, and Hotmail (Outlook) have started to use some of the spam frameworks that are many years old. One such policy is DMARC – which is what Google Gmail has started using in the past few months. In essence, DMARC is a policy framework that ensures that a mail server is “authoritative” for sending e-mail from a specific domain name. Because many contact forms are setup to have the “From” address as the e-mail address that someone filled in on the customer’s contact form, it makes it look like the message is coming from their e-mail address. As an example – if someone goes to a customer’s contact form on their website and fills in an e-mail address of “johnny@yahoo.com”, it will send out the e-mail to the website owner and show it came from “johnny@yahoo.com”. Well, if the website owner wants the form to be sent to an e-mail address on Gmail, Yahoo, or another provider, they may reject the message because the mail server / web server that sent the e-mail is not allowed to send a message from Yahoo users. To fix the mail delivery failures on customer contact forms, you must hard-code the “From” address to one that matches the customer’s domain name. As an example, our domain name is bsntech.com. In the contact form settings, we would set the “From” address to something like “noreply@bsntech.com”. The main key here is to ensure the From address has their domain name in it. So it could be <anything>@bsntech.com – just as long as it has their domain name in there. Because web hosting and mail servers are authoritative for the domain name of the website, the message should then be allowed through to providers like Gmail or Yahoo. BsnTech Networks would be happy to help anyone that has a website contact form that is having difficulty receiving e-mails from their contact forms. We have experience with fixing the mail failures from contact forms on websites. Has your WordPress site been hacked or defaced? That may be due to an insecure username or password that was setup for your wp-admin administrative portal. BsnTech Networks has come up with a solution that will take care to secure your wordpress wp-admin directory by providing an additional layer of protection. This protection will not work if you simply set the username and password for the password-protected directory to the same that your WordPress login is. So take care to actually use a good username and password that isn’t guessed. I recommend to not use a username like “admin” or “administrator” – but make it more personalized instead. That will allow you to help prevent access to the wp-admin folder better. With this method, we provide a pop-up box that asks for username and password if anyone attempts to access the wp-admin folder before it shows the actual login page. If this method is used in conjunction with the ConfigServer Firewall (CSF) instructions that I previously wrote about, there is a clear amount of security provided to your WordPress administrator portal. CSF can be installed if you using a hosting provider that uses cPanel – or if you want this protection built-in, contact BsnTech Networks so we can host your website and make it much more secure than other providers out there. So, if you at least want to help protect your WordPress wp-admin administrator folder more, you need to setup the folder as a password-protected directory – but also make it so that any other file within that folder can be accessed from components, plugins, and modules. The instructions below are for web servers running Apache. Use the HTPASSWD generator to set a username and password. Create a file in the administrator folder named “.htpasswd”. Note the dot in front of the file name. Now copy and paste the line of code from the HTPASSWD generator into the file and save it. Create a “.htaccess” file in your administrator folder. Again, note the dot in front of the file name. In the .htaccess file, use these lines and then save the file. AuthType Basic – This indicates that it is a basic authentication type against an Apache web server and to show the pop-up box. require valid-user – Just that. It means that the username and password that is in the .htpasswd file must be exactly matched to access the page. Now, there is a second directory in there – “FULL_PATH_TO_ADMINISTRATOR_DIRECTORY/*/*” with a “Satisfy-any” clause. This tells the server that anyone can access any sub-directory under the wp-admin folder and no password is required. That is what allows other plugins for WordPress to work if they are referenced from within the wp-admin folder. Notice the “/*/*” in the directory – that is the wildcard path that ensures that they are at least going down to another sub-directory in the wp-admin administrator directory. If that is left out, then the WordPress administrative login page will not be protected. Finally, there is another group of lines that start with <Files> and ends with </Files> With WordPress, there is an AJAX file that many plugins need to use. Those few lines ensure that the file can be accessed – but it has to be set exactly as noted above since it is right in the wp-admin folder and not in a subdirectory. Do note that the above instructions will provide a second layer of security by protecting the WordPress administrator directory – but it still must be used in conjunction with a good username and password for the actual administrator login for WordPress. Previously, I wrote a way on how you could help protect your Joomla administrator folder from hackers. However, that method doesn’t always work in many cases. Why? Because some components, plugins, and modules will need to use some materials from the administrator folder. So, there is a better way to do it. The absolute best thing to do is to password protect the Joomla administrator folder to help prevent attacks. If this method is used in conjunction with the ConfigServer Firewall (CSF) instructions that I previously wrote about, there is a clear amount of security provided to your Joomla administrator portal. CSF can be installed if you using a hosting provider that uses cPanel – or if you want this protection built-in, contact BsnTech Networks so we can host your website and make it much more secure than other providers out there. So, if you at least want to help protect your Joomla administrator folder more, you need to setup the folder as a password-protected directory – but also make it so that any other file within that folder can be accessed from components, plugins, and modules. The instructions below are for web servers running Apache. Now, there is a second directory in there – “FULL_PATH_TO_ADMINISTRATOR_DIRECTORY/*/*” with a “Satisfy-any” clause. This tells the server that anyone can access any sub-directory under the Administrator folder and no password is required. That is what allows components, plugins, and modules to access any files in there that may be needed. Notice the “/*/*” in the directory – that is the wildcard path that ensures that they are at least going down to another sub-directory in the Joomla administrator directory. If that is left out, then the Joomla administrative login page will not be protected. Do note that the above instructions will provide a second layer of security by protecting the Joomla administrator directory – but it still must be used in conjunction with a good username and password for the actual administrator login for Joomla. It was time to change out server security from using Fail2Ban to a more robust security package – ConfigServer Firewall (CSF). Fail2Ban has done a great job over the years with doing temporary bans on attackers going after services such as POP, SMTP, IMAP, and others. But if you are looking for a more dynamic firewall solution for Ubuntu, ConfigServer Firewall (CSF) may be a good solution for a good security suite that allows for a higher degree of system protection. ConfgServer Firewall can even check your core operating system files on a regular basis and uses hashes to determine if any files were changed. CSF also will watch processes and alert you whenever your load is over a certain amount. Plus the features that Fail2Ban offers with banning – plus the ability to do a more permanent ban after the same IP address (or IP adddress range) continues to attack for a certain number of times. I’ve only had the software installed for a few days – but it is amazing to see all of the things that go on that you may not have known about. One big event that I was starting to see with our servers was attacks against our customer websites. Because I believe in providing the best security for website hosting to our customers, I enacted CSF along with some other changes (see the other two posts about protecting the admin folders for Joomla and WordPress sites). When it comes down to it, website hosting customers just want their site secure and not to be hacked – so requiring an extra layer of security is a small annoyance but it pays off by having a much more secure website. The ConfigServer Firewall should now be unzipped and installed. You will find the configuration files in the /etc/csf directory. Now, you need to configure the software. Open up the csf.conf file in the /etc/csf directory. There are a lot of notes in that file on how to configure and how to set the settings. Set these up to your liking. Definitely ensure that you change the TESTING = “1” line to TESTING = “0”. Also ensure that you set your TCP_IN, TCP_OUT, UDP_IN, and UDP_OUT variables correctly. Don’t forget to add in all ports – especially SSH (or however you get into your server) otherwise you will lock yourself out. There are other files that you should be aware of. If you want to specifically always make sure that some IP addresses are never blocked, open up the /etc/csf/csf.allow file. Put one IP address per line (or you can do a range – such as 1.2.3.4/24 where 24 is the subnet bits). In addition, if you run a mail server and want to prevent some connections from known spammers at the firewall level, open the /etc/csf/csf.blocklists file. There are many different providers that keep a list of IP address ranges that are known to be a nuisance so you can “uncomment” those lines by just removing the “#” sign in front of the list. Those that I’ve decided to use include SPAMDROP, SPAMEDROP, DSHIELD, HONEYPOT, BFB, and OPENBL. If everything is configured properly, then the firewall should be up and active! Here are a few csf.conf setting ideas that you may want to consider. Of course, it fully depends upon what your server does. If you run a mail server on your system, I would HIGHLY recommend that you sent the SMTP_BLOCK to 1. This ensures that only the actual mail service (postfix, exim, etc) has the authority to send out messages to the Internet. One of our customer’s websites was attacked about a year ago and they were able to upload a script that was able to bypass all of the mail system and send out spam directly to the Internet. By setting SMTP_BLOCK to 1, it will prevent this from occurring. Also note to set “SMTP_ALLOWUSER” and “SMTP_ALLOWGROUP” with the user accounts and groups that the mail server actually runs from. Definitely ensure that this is set to “1” to allow your local server to send messages using the loopback connection, especially if you have SMTP_BLOCK set to 1. In our case, we use Exim as our mail system. On Ubuntu, Exim runs as the “Debian-exim” user /group. Therefore, the SMTP_ALLOWUSER and SMTP_ALLOWGROUP is set to “Debian-exim” in our case. If you leave any of the proper users/groups out when you have SMTP_BLOCK set to 1, your mail service itself won’t be able to send outgoing e-mail. Turning on Synflood protection. If you have a fairly decent server, it won’t take much of any processing usage for this although the csf.conf file says it will slow down IP connections. I’ve not seen any performance issues when turning this on. In essence, SYN packets are sent to open a connection to the server – but SYNFLOODs are used to send half-open connections to a server and possibly cause a denial of service (DoS) attack. Therefore, you can turn on the protection by setting SYNFLOOD to 1. Then you can set the rate of how many SYN packets you are OK with receiving per second and then a burst rate. The rate and burst were set to the defaults. This allows you to set how many connections you want to allow per IP address. This also helps to prevent attackers that want to try and flood a service on your server. As an example, I limit only two connections to port 21 (hence the 21;2) from the same IP. I limit port 25 connections to 5 (25;5) from the same IP and so on. You will put in the port – a semicolon – then the limit. Separate each by a comma as noted above. Basically the same as SYNFLOOD as noted above – except this is for UDP floods. I love this. This is one thing that CSF has over Fail2Ban. In essence, you can set when you want to “permanantly” ban an IP address after they have attempted several times. Down further for the settings is the LF blocks setup per service. Those are temporary bans and you can specify a temporary ban in those spots. But after someone has been blocked temporarily so many times, it is time to do a more permanent block since they are nothing but trouble. LF_PERMBLOCK set to 1 enables this feature. The LF_PERMBLOCK_INTERVAL sets the “permanent” time period. 86400 is 24 hours. LF_PERMBLOCK_COUNT needs a little bit of clarification. In my case, I have it set to 2. This means that after someone has been temporarily banned (using the settings for the specific services), the IP address will be banned for the LF_PERMBLOCK_INTERVAL. However, even though I have it set to 2, it actually is 3. That is because they will be blocked temporarily two times. Then on the third time, they will be “permanently” blocked. LF_PERMBLOCK_ALERT is set to 1 – which means I am alerted by e-mail whenever a permanent block goes into effect. This is must like the PERMBLOCK noted above, but this actually will block a network range. In the event that more than one IP address from the LF_NETBLOCK_CLASS is attempting to infiltrate your system, CSF will actually do a “permanent” block (set to the LF_NETBLOCK_INTERVAL) for the entire range of IP addresses. I would definitely keep the LF_NETBLOCK_CLASS set to C – which means it will block and monitor only a class C network (254 addresses). If you set this any higher, you are blocking thousands of IPs. I would recommend keeping the LF_TRIGGER to 0 unless you are OK with setting the same trigger amount for each of your services. In essence, this trigger can be set to “5” if desired – which means that after five failed attempts against any of the services you want to monitor – that IP address will be blocked temporarily. By setting this to 0, it gives you more granular control over how many failed attempts you want to set on a per-service basis. In my case, I wanted to block FTP after three attempts – and everything else after 5. Again, I set this to 0 so I can specifically set the triggers for each service. If you want to have the same trigger amount for each service, then this value can be set to the time period you want to temporary ban the IP address that is attempting access to your server. As an example, set it to 300 seconds if you want to temporarily ban for 5 minutes. I am debating about changing this. If this is set to 0, that means the IP address that has undergone a temporary ban is only banned from that service (such as POP, IMAP, web, SMTP, etc). If set to 1, then that means the IP address will be blocked temporarily from accessing anything on the server. Here is where I specifically say that upon five failed attempts (LF_SSHD), the IP address will be temporarily banned for 300 seconds (LF_SSHD_PERM). The “PERM” in the variable name is misleading – because it is not a permanent block – only temporary. Of course, that temporary time period is set based on what you want. With my systems, I set it to 300 seconds (five minutes) and then because I have the LF_PERMBLOCK set to 1 (noted above), they will be fully blocked for a full 24 hours (LF_PERMBLOCK_INTERVAL) after three temporary bans. The settings above are just like the LF_SSHD. The first one will tell CSF / LFD how many invalid attempts to allow before temporarily blocking the IP address. Make note of LF_HTACCESS and LF_MODSEC. I have some custom Regex rules listed below that will help you watch for bots attempting to access password-protected directories. This is a HUGE benefit to us. Well, you can set HTACCESS_LOG = “/var/www/*/logs/error.log” and MODSEC_LOG = “/var/www/*/logs/access.log” to scan every log file in all user directories. Note the asterisk (*) where the <user-login> is. Very beneficial. Speaking of MODSEC logs, that leads me into the next topic of Custom Regex. This is where things really can help out if you have non-standard services that you also want to monitor connections for. As an example, I have ensured that some of our other web programs that allow for logins are logged into a file that is already monitored – and then regex items were made to check those for invalid logins. That way if attempts are made against those systems, they can also be blocked there. That allows you to put in the log line that you want to try and match – and then a box above that to fill in the regex. You will see that it was filled out with a log line I used along with the regex noted below in the first example. In essence, you can see the “401” in the first line. That Regex will find any lines in the MODSEC_LOG file(s) that have a 401 in them (spaces on both sides to ensure it isn’t in an actual URL) and will temporary block the IP based on your LF_MODSEC setting (or LF_TRIGGER if you didn’t want to set the services independently with different trigger values). Well, I hope that this tutorial about setting up ConfigServer Firewall (CSF) on Ubuntu has come in helpful for some of you out there. Especially the bits including the csf.conf recommended settings and the custom regex help for CSF. If you are like me, you want to keep your deleted items for a while. In general, I will keep a rolling one-year backup. But what happens if you have a lot of unread e-mail in your Deleted Items folder that you don’t want? No problem. This quick tutorial will help you understand how to delete unread e-mail out of your Deleted Items folder in Outlook. For some reason, Outlook doesn’t allow you to sort based on whether an e-mail is read or not. Thunderbird – Mozilla’s free e-mail program, does allow you to do this. 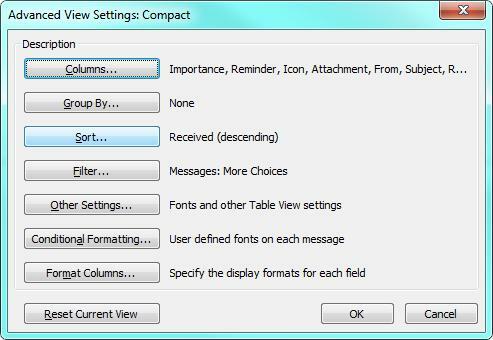 This tutorial was specifically written for Outlook 2010 – but may also be the same for Outlook 2013 as well. First, you will click on your Deleted Items folder. Now, go up to the ribbon and choose “View”. Now put a check mark next to “Only items that are:” and ensure “unread” is shown in the drop-down menu. Hit OK to get out of the Filter screen and then OK again on the Advanced View Settings. You should then have a filter on your Deleted Items folder that shows only your unread messages. Now you can select them all and delete! Once you are done, just hit the “Reset View” button (third from the left) in the ribbon under the “View” menu. A few extra steps compared to easily being able to sort unread e-mails in Thunderbird. 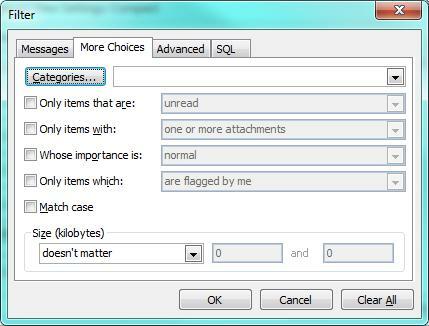 But either way, you can quickly delete unread e-mails from your Deleted Items folder in Outlook using just a few steps. Recently I just setup another set of servers for my website hosting business. In doing so, these new servers did not have the standard nVidia video card installed – but had an ATI HD Radeon and the other had an Intel graphics card. When attempting to get them to boot without an attached monitor, the X server would not – giving errors saying ‘no screens found’. Both the intel and the radeon drivers kept saying “No outputs definitely connected, trying again…”. I restarted the servers several times trying things. I re-ran “X -configure” to capture all of the details – but everytime the ubuntu servers restarted, it simply would not enable the screens when no monitors were connected. I spent at least a full day browsing the Ubuntu forums trying to find a solution for this issue. The thing is – I do not have any screens connected to the servers in the data centers – nor do I need them. What I do need is the ability for the X server to still load so a cron script will start x11vnc and allow me to remotely connect in and access them. Many posts later, I was stumped. But, there were a number of pointers that I took from several posts. The main thing is – if you are not using a monitor and just need a standard 1024×768 screen resolution, my solution seems to work well in Ubuntu 10.04. I’m sure it also works in Ubuntu 11.04 and probably Ubuntu 12.04 as well. In the coming weeks, I’ll be upgrading to the newer release to get up to date. OK, without further introduction information, here is how I did it. This then made the EDID file on my computer. If you’d like, and you just simply need a 1024×768 VNC connection with 32-bit depth, my EDID file will work fine for you. You may download my monitor’s EDID file here. After this was done, I then copied the EDID file to the /etc/X11 directory. This will then make a file in your home directory – xorg.conf.new. Open that file and carefully pay attention to the “BusID” that is in the “Device” section. This piece you definitely will need when creating your /etc/X11/xorg.conf file (if you choose to just copy my file below). Next step – was to NOT use the radeon or intel driver. If you just need to make a remote VNC connection to a computer without a monitor connected, you shouldn’t need any performance tweaks or other proprietary functionality. So, I then copied the xorg.conf.new over to /etc/X11/xorg.conf and made a few modifications. #1 – I added some information for a monitor (the monitor I made the EDID file for). This highlights those changes under the “Monitor” section. As you can see, I hadded HorizSync and VertRefresh. The other settings were in there by default. Please note the VGA-0 there – which is the name of the monitor listed above. Ensure these all match up. Again, this matches up with the Monitor and Device sections. Finally, I saved it, rebooted the machines, and BOTH of them worked! Neither of them have a monitor connected, and now the X server starts up and shows a GUI without a problem. So, for reference, here is my complete xorg.conf file. You can certainly choose to use this if you are just wanting a 1024×768 VNC remote connection with a depth of 24 bits. I hope this post comes in useful for others looking to simply be able to remotely connect to a computer using VNC without having a monitor attached! Since I do website hosting for customers, I have a coupld of HP ProLiant DL380 servers at one of my locations. These servers have a PCI-Express dual-NIC Intel card in them. To be more exact, the card is an Intel Corporation 82546EB Gigabit Ethernet Controller. When the servers would receive a request to download a large file – roughly 1 megabyte or higher (such as a large picture file), the download progress would stop on the visitor’s end and time out. All of these errors occurred within a seven-second timeframe. Sure, seven seconds doesn’t seem like a lot, but when these errors occurred, the servers looked like they were dead and wouldn’t respond to any queries across the Internet at all. Both of the HP ProLiant DL380 servers had their on built-in BroadCom card, but I previously also had issues with these cards and the tg3 driver as well – so I opted to buy – what I thought was a very well-supported Intel card. Ubuntu uses the e1000 driver (as noted above in the errors) for this card. So far – after several attempts to re-download the same large pictures from the web servers after making the changes below, everything seems to be working well. Here is how I did it. That is supposed to disable the power management features of the PCI-Express components. After performing a restart, I tested the download of the pictures again – and it hung. So this didn’t fix the issue by itself. The next step was to disable something called “TCP Segmentation Offload” – or TSO for short. Many others indicated that by disabling this alone would fix the problem – but I started with disabling the power management features first. Note to change the “X” in “ethX” to the number. For example, mine are “eth2” and “eth3” for my dual-NIC Intel card. You may have to put “sudo” in front of each command if you are not running as the root user. After running that command, you should see that TSO is off. Now, how can you set it so that TSO is automatically disabled upon startup? Make an init script! if you use the command above, it is only effective until the next reboot. And you are done! Each time the server reboots, it will disable TSO upon startup. Hope this is useful to others that have the Intel Corporation 82546EB Gigabit Ethernet Controller card in their servers using the e1000 driver in Ubuntu.